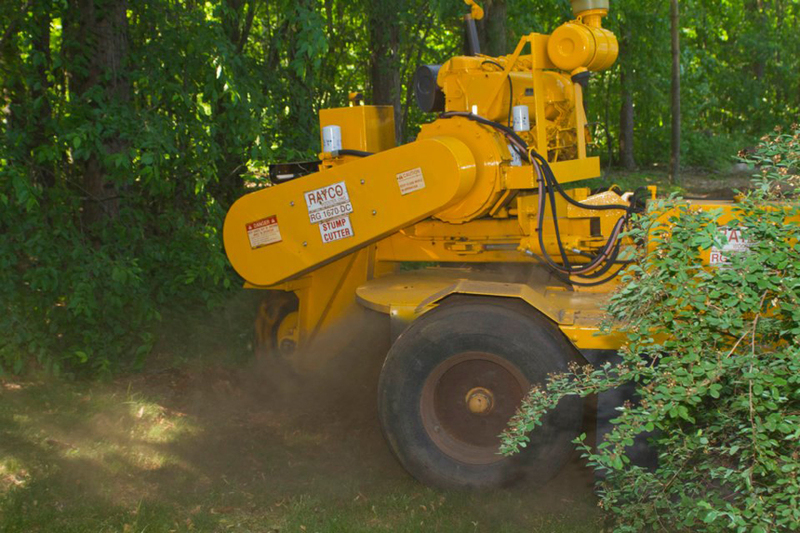 Many homeowners and landscapers deal with intrusive roots by grinding them down or removing them. This is sometimes expensive and also very harmful to the tree. When a tree’s roots are wounded, it can creates points of entry for pathogens and leaves the tree vulnerable to disease. If major roots are cut, it also reduces a tree’s ability to take up nutrients and water, and also makes it more susceptible to drought. Lastly, cutting roots can reduce a tree’s structural support. This can increase potential risk/danger because the tree may topple onto your house from high winds. 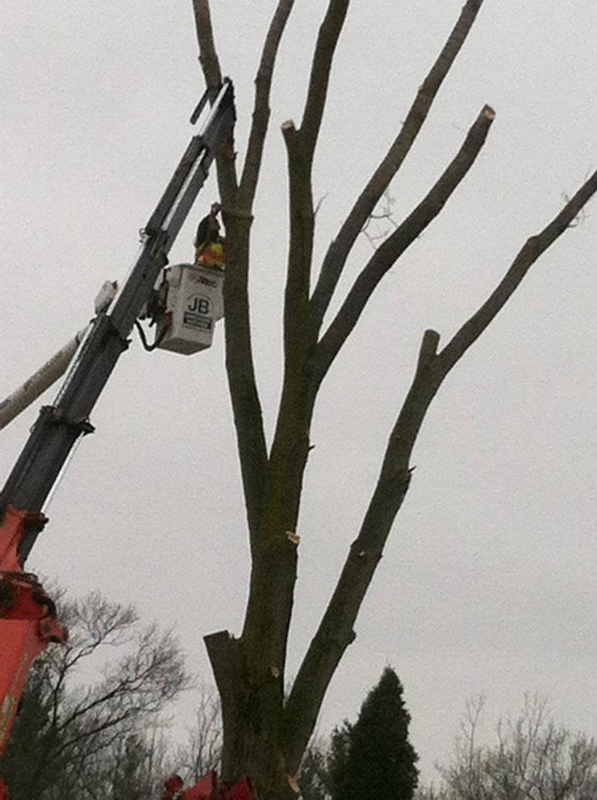 Please exercise safety and caution or call a professional arborist from Get-R-Cut...or BOTH. Please contact us if you have further questions. Proper Planning BEFORE You Plant! People often get excited to plant new trees without doing the proper research beforehand. 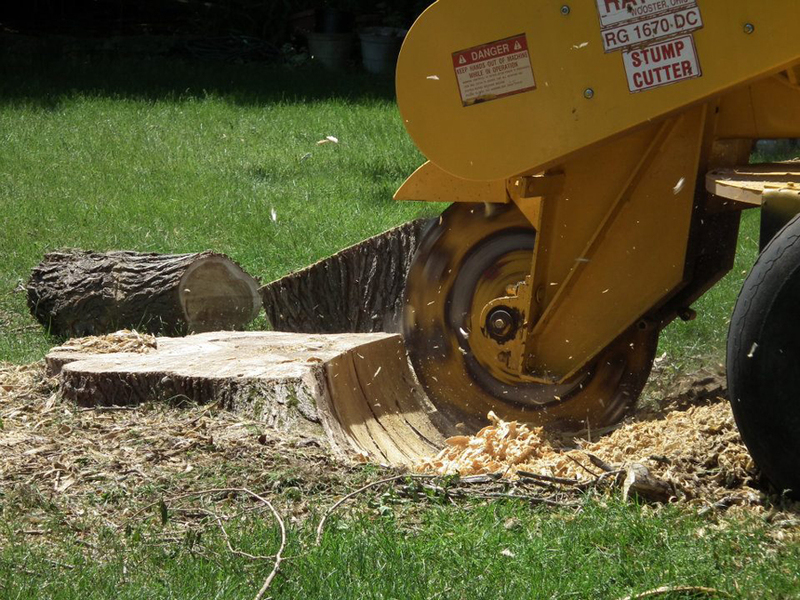 Everyone needs to understand how a tree could potentially damage your property if planted improperly. 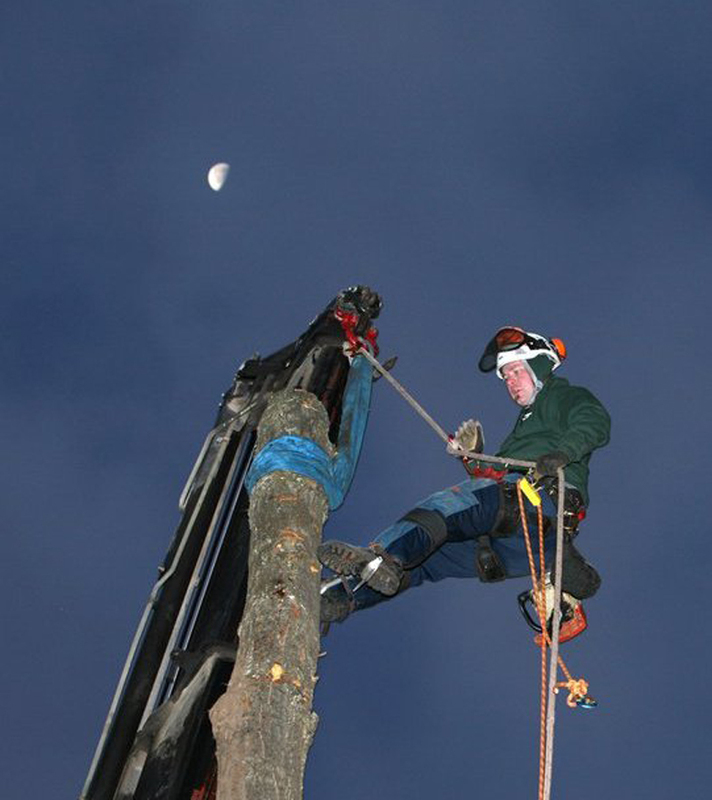 It is very important to take appropriate measures to prevent any damage BEFORE you plant a new tree. Tree roots thicken as they grow and will gradually push the shallow roots up toward the surface. So...soil that is near the surface is ideally suited for root growth. However, most tree roots are just below the surface and this will put those roots in conflict with man-made obstacles. Another thing to think about is that where soil is covered by a patio or a concrete driveway, roots that grow upward do not experience the normal growing patterns such as increased air or light. Therefore, they cannot tell they are reaching the surface. As a result, the roots often grow against the underside of pavement and become intrusive. 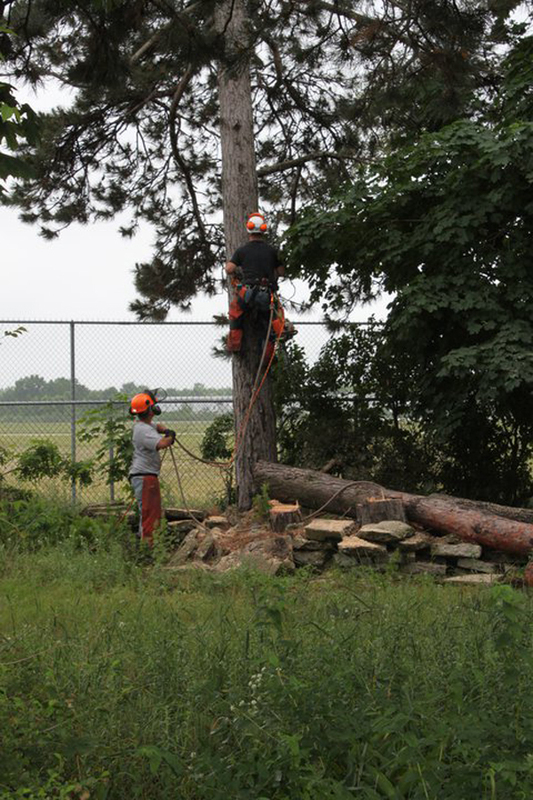 If you have further questions, contact one of our arborists at Get-R-Cut...We know trees"
Oak Wilt is not the only threat to oak trees. Another threat to oak trees is Two-Lined Chestnut Borer. Two-Lined Chestnut Borer is a beetle that attacks oak trees. It particularly damages oak trees during and after drought periods. The best prevention is reducing the impact of drought and other root stress from occurring to trees in urban landscapes. All species of oak trees are susceptible to the Two-Lined Chestnut Borer. When Two-Lined Chestnut Borer is detected, it can be treated with systemic insecticides. 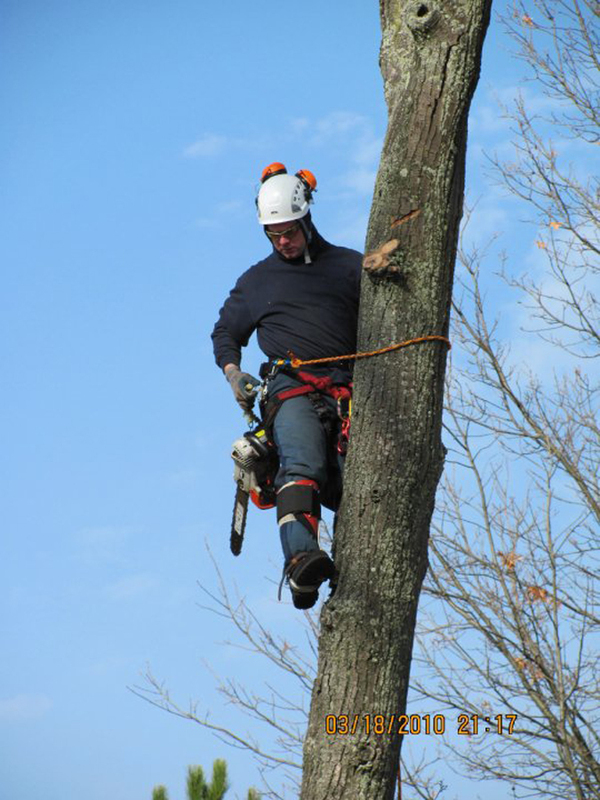 As with all treatments, treatment timelines will vary and depends on the levels of tree infestation. We will cover the life cycle and treatment/prevention next time. If you have any questions prior to the next post, feel free to call our office. 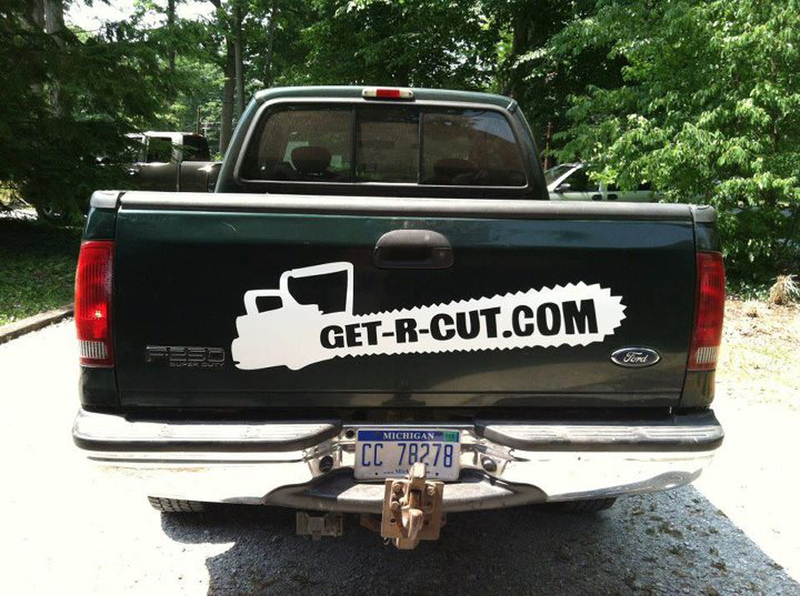 We at Get-R-Cut like to have continuing education. We often times have Dr. Dave Roberts out to help train our arborists, grounds crew and even office staff on pests and tree diseases. We had Dr. Dave out yesterday to teach on Oak Wilt. 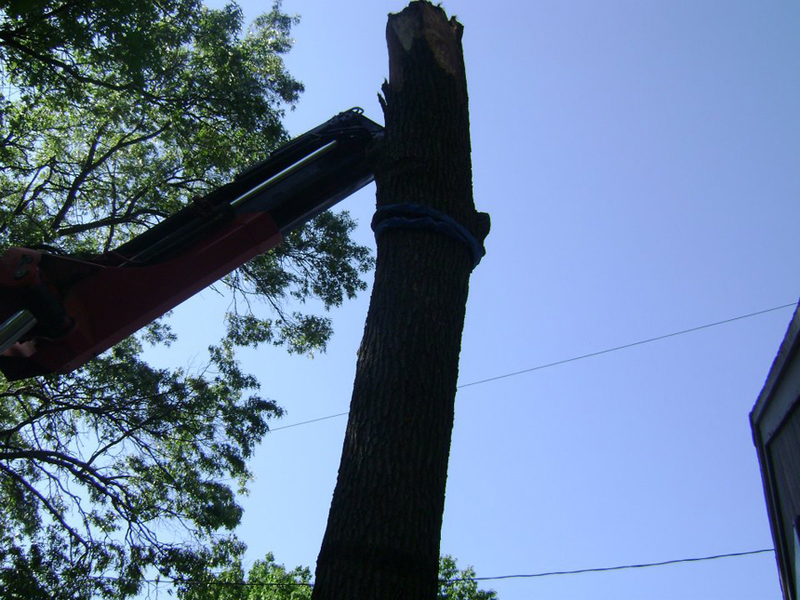 As you know, Oak Wilt is growing very common in our area and we talk about it often. However, we were also educated on Two-Lined Chestnut Borer. This is a new one for me, but Jared knows all about this little pest. 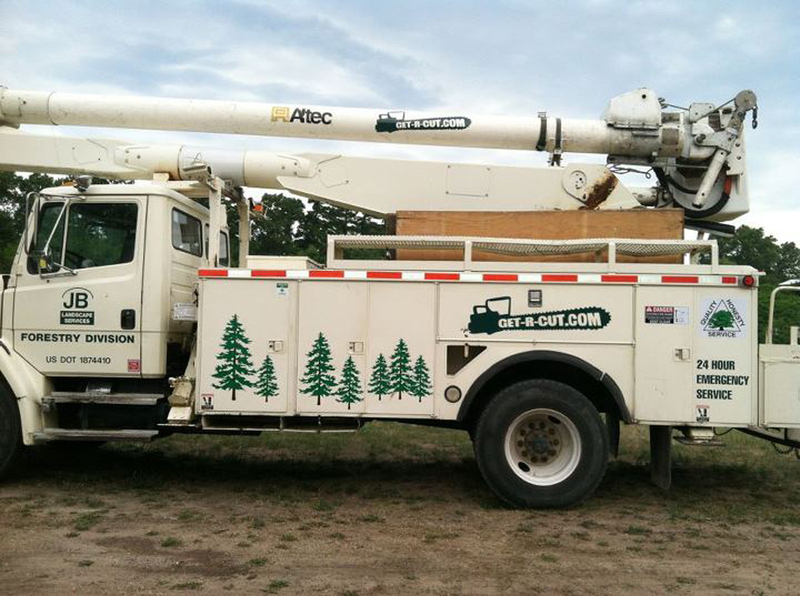 We want our arborists to be educated and our customers to be aware of what to watch for. More info to follow on this subject! Please contact us if you have any questions.